Working on the eccentric strap the last two days. 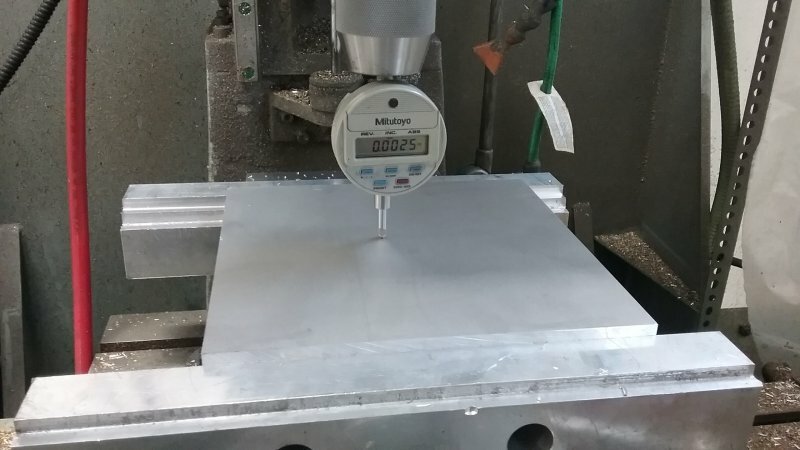 The first step is CNC profiling the two halves in some 3/8" thick CRS. 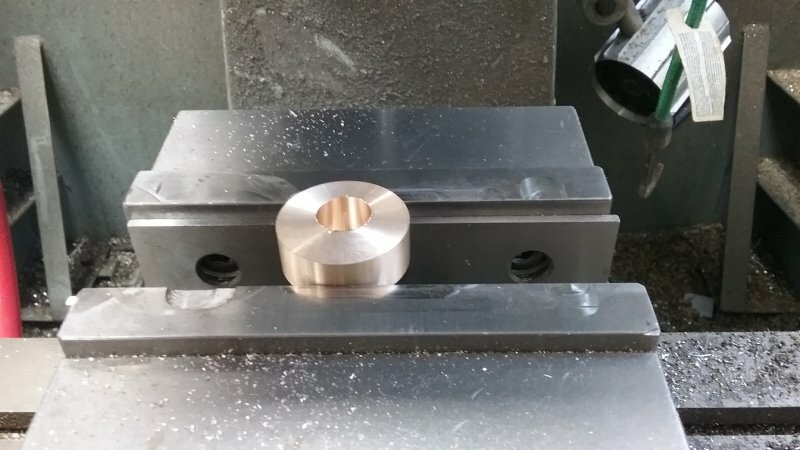 The material is about 2.5" square, and the slots are milled with a 1/4" endmill. Next, following a technique shown by Terry Mayhugh on HMEM, I filled the slots with epoxy, in this case Darvon 5 from Lowes. After a 24 hour wait for the epoxy to cure, I reversed the work and milled off the bottom material on the Bridgeport. Then in theory an hours in a 250F over should have caused the epoxy top release completely. Didn't happen and it was a bit of a struggle to free the pieces; I believe I used a bit too much. But then it was on to drilling and tapping the holes for joining the halves. While this job was done 'OK', the holes were still a little off resulting in a slight mismatch which will have to be milled away to make the strap flat on both sides. 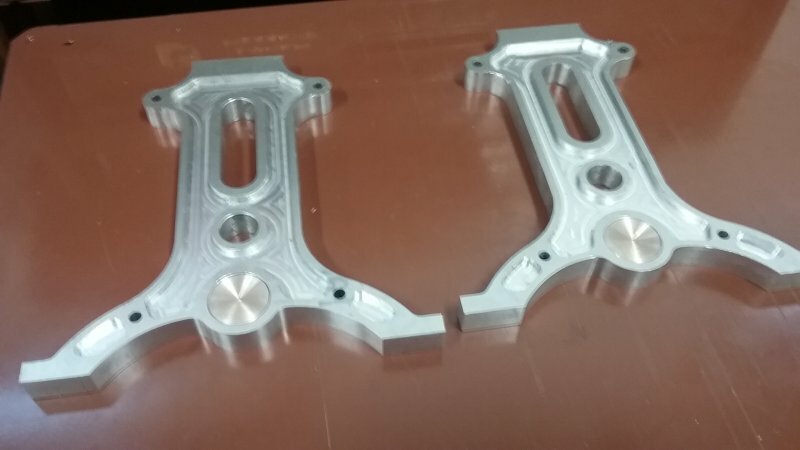 I also left the center hole a bit smaller than the plans, so that it can be milled to target size with both halves connected. This will be done next time out. Rather than two pieces soldered together, I decided to make it a one piece project. Unfortunately when time came for the photo I discovered I'd made it a mirror image of the correct part. Less than two hours invested in that one, and the redo should go faster. Never heard the expression "90% swarf penalty" but will use it. I often go the route of cutting over soldering myself. A shop day of eccentricity. 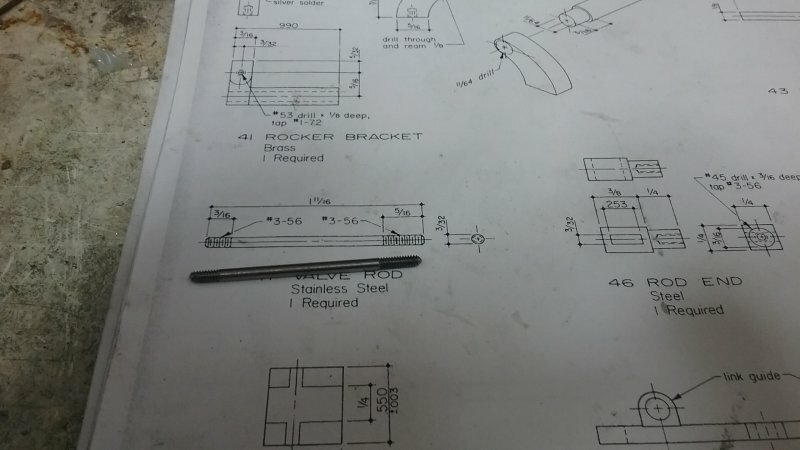 First task was to enlarge the bore of the strap to nominal 15/16", which I did with the CNC mill using a 1/4" endmill. Then on to the eccentric itself. 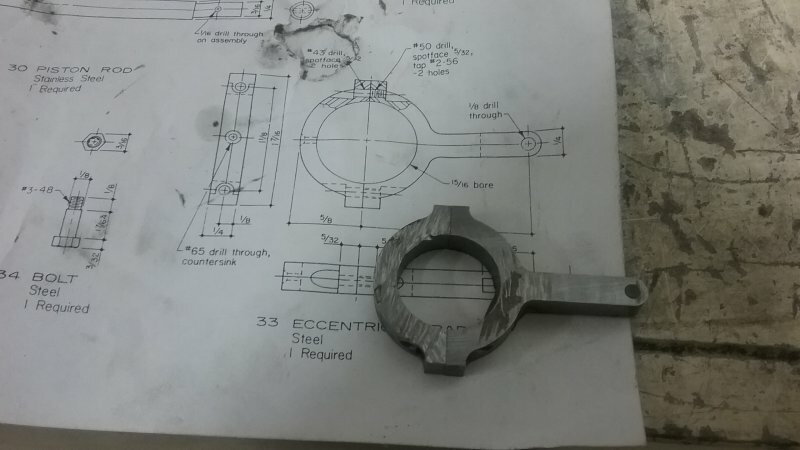 My first try was done without doing the eccentric hole first, and I found myself without a good way to hold the piece at the end. So for try #2 I turned a length of 1.5" bronze rod down to 1.4", parted it off, and used the CNC mill to bore the 5/8" hole. 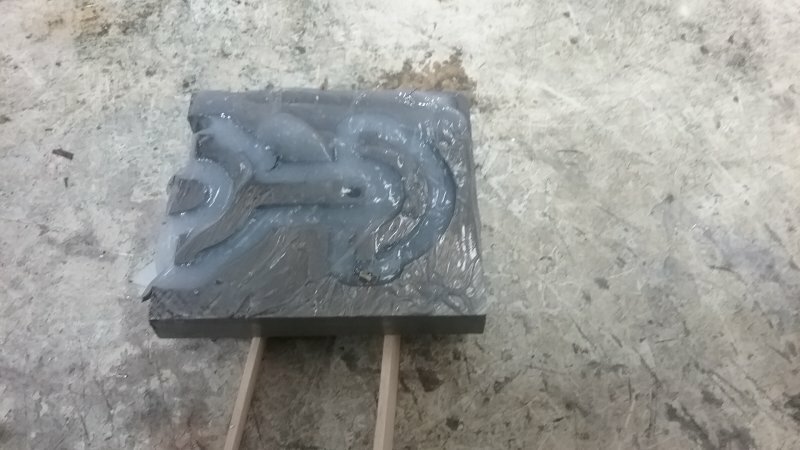 I also scribed a line from the center of the piece to aid locating the grub screw and also for helping with eventual timing. Then back to the lathe to turn the groove to match the strap. The collar on which the eccentric mounts was a few thou to large, and needed to be pared down to fit. 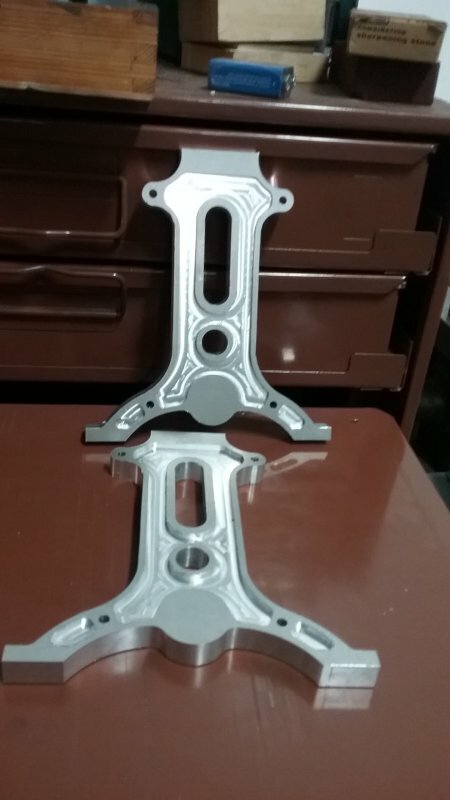 Nice work on the eccentric assembly! Thanks for looking in guys. Finger pressure on the screw head was enough to turn the die, but for a larger thread the holder likely needs something better. With the valve rod threaded, I needed the valve nut. 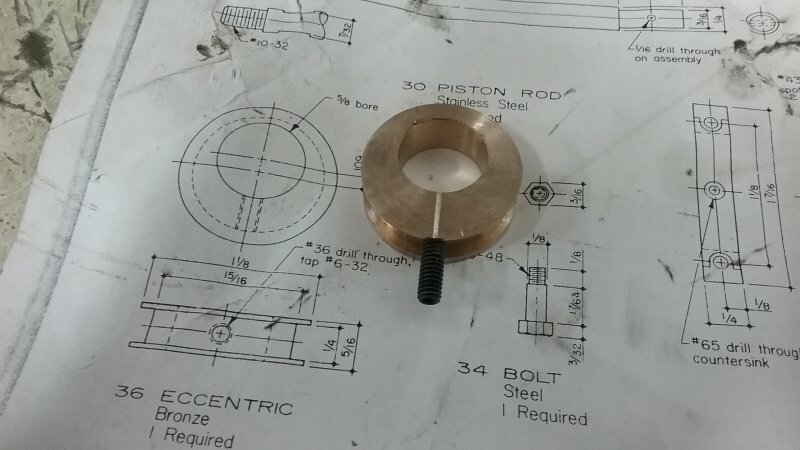 Parted off a bit of 1/2" square brass bar, drilled and tapped the hole, machined to size, and fettled a bit to fit the valve. I received two pieces of nice 8x8x1/2" pieces of 6061 from an eBay vendor to be used to make the frames. I decided to start on these this afternoon. 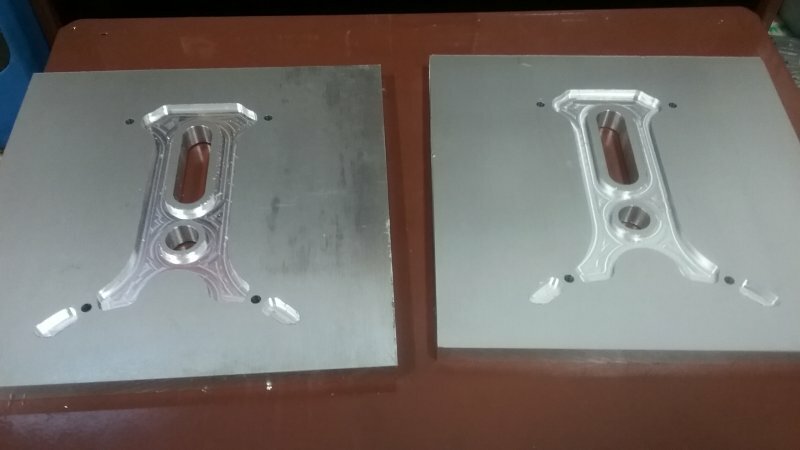 Too large for the 6" vise's normal jaws, so I mounted the 12" aluminum soft jaws and milled two new ledges to serve as parallels. By keeping the tool at a constant Z they are perforce level. Took a scan across the surface, and the face is flat to within .0025". Results of the first ops. 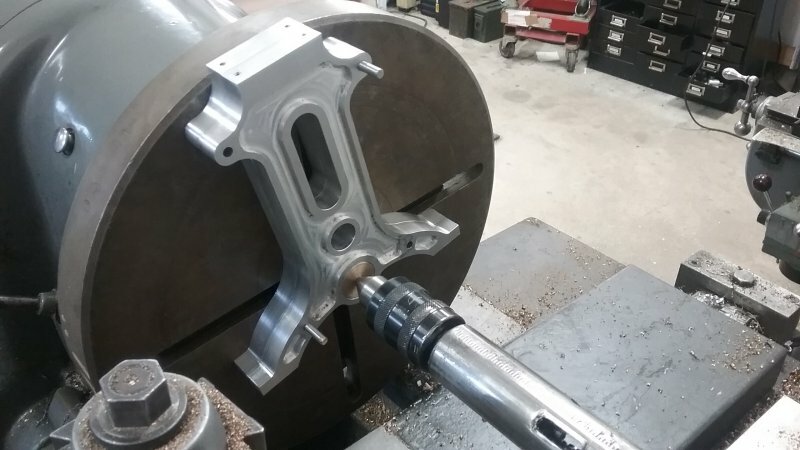 The 4 3/16" holes will serve as registers when boring the pivot and crankshaft bearing holes. 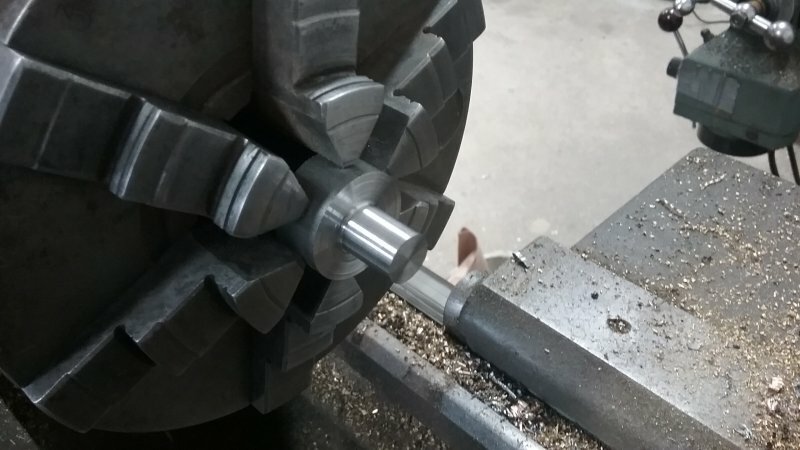 The center of the round hole is the machining origin for milling the back side. Looking great. What was for lunch? Continuing with the frames, Each was turned over, pocketed, and had the profile cut out leaving 4 tabs to keep them attached to the main matrix. Then the tabs were cut through with a handheld hacksaw blade and the tabs carefully machined away manually. 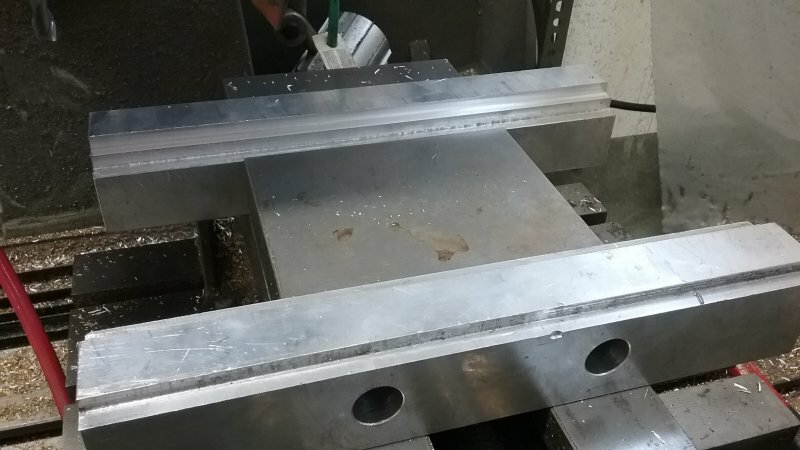 With the two frames aligned using the pins through two of the separator holes and screws through the other two, the pockets for the pivot shaft bearings were cut. 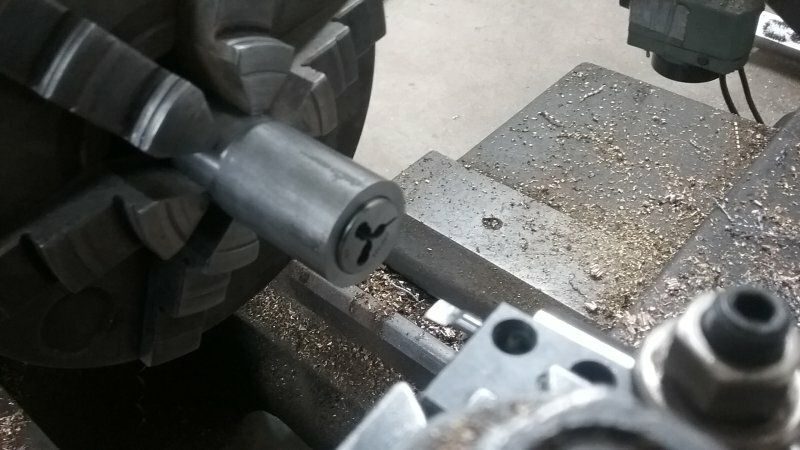 The two bearing blanks were turned on the lathe to a close sliding fit and loctited to the frames. 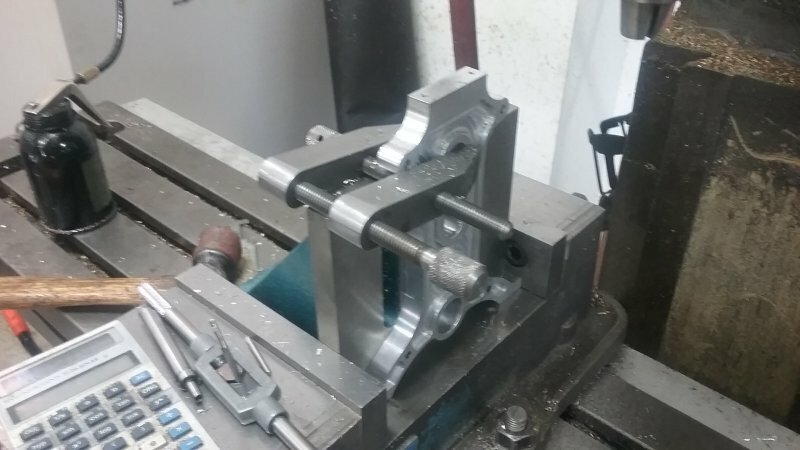 Next the holes for securing the crankshaft bearing cap were drilled and tapped. I used 5-40 rather than the 4-40 specified by Ouzof. For the mounting holes in the feet, I was not sure what size screws will be used, so I just spot drilled them. 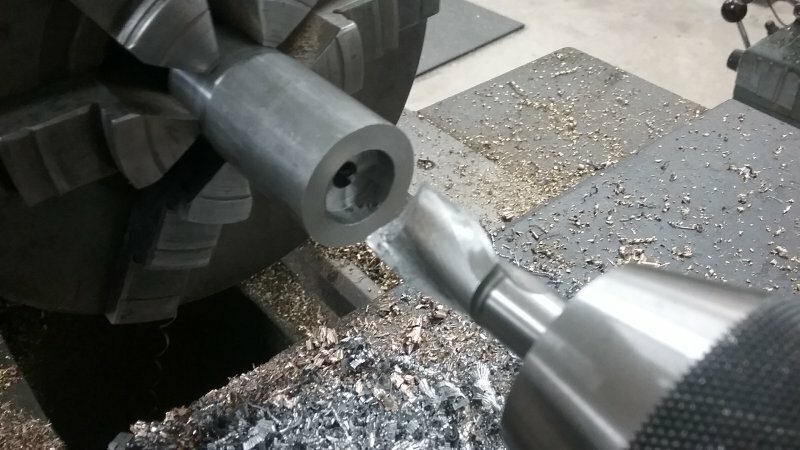 These can be drilled from the bottom like this, but counterboring on the top would need as very long end mill. 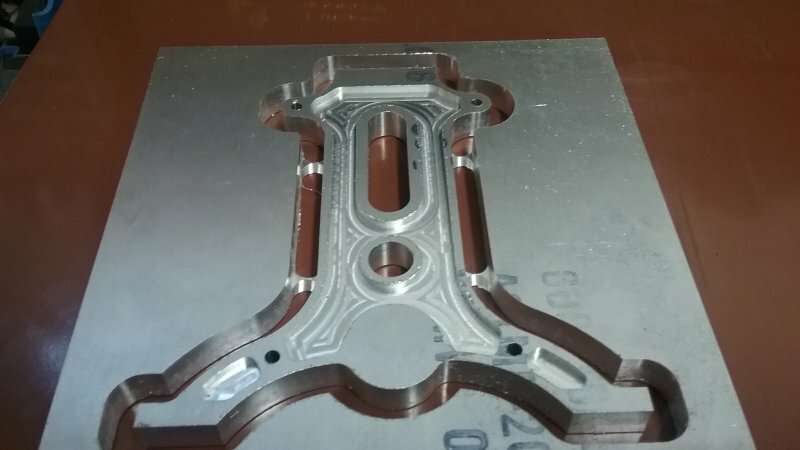 To bore the holes through the pivot shaft bearing, I plan to use my face plate which I acquired a year ago at Cabin Fever and haven't as yet used. As seen here, the frames will easily clear the lathe's ways. 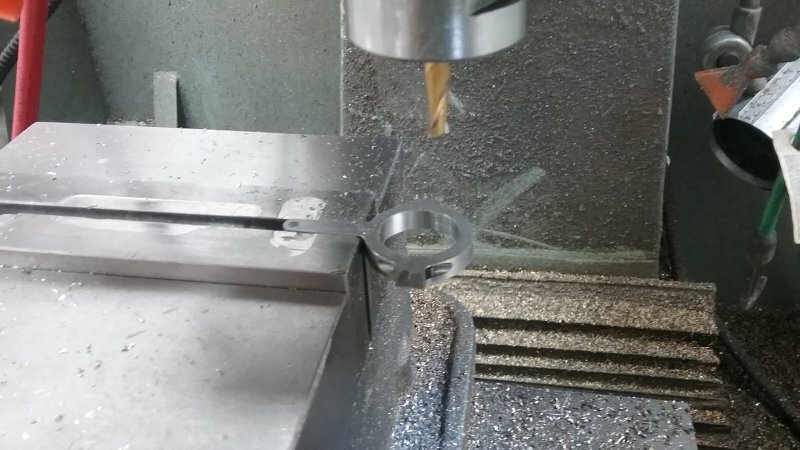 I center drilled one bearing on the CNC mill, and am using the live center to hold the two joined frames in the center of the plate. I don't have any square nuts needed to fix the frames, and that will be the next project. 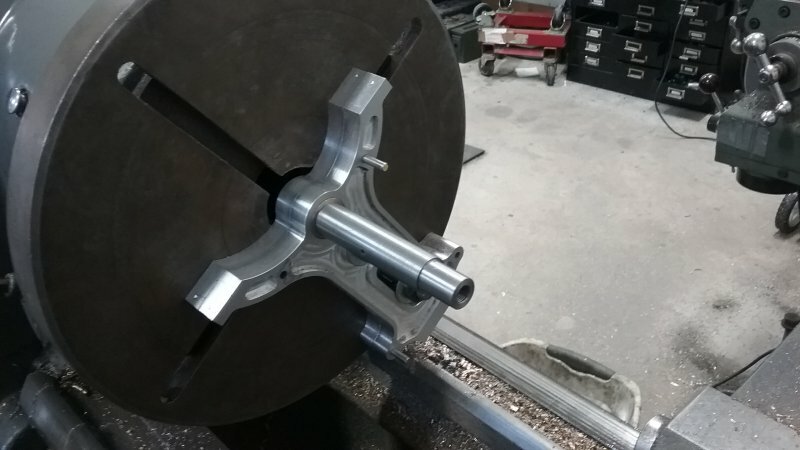 Ouzof used a counterweight on his, but given the weight of the faceplate vs. the frames, I suspect that turning like this won't shake the lathe. 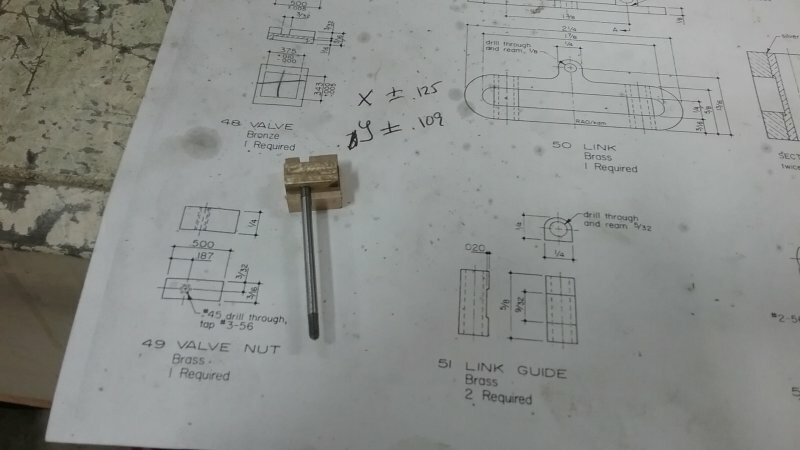 Made 4 square nuts this morning threaded 3/8-16. 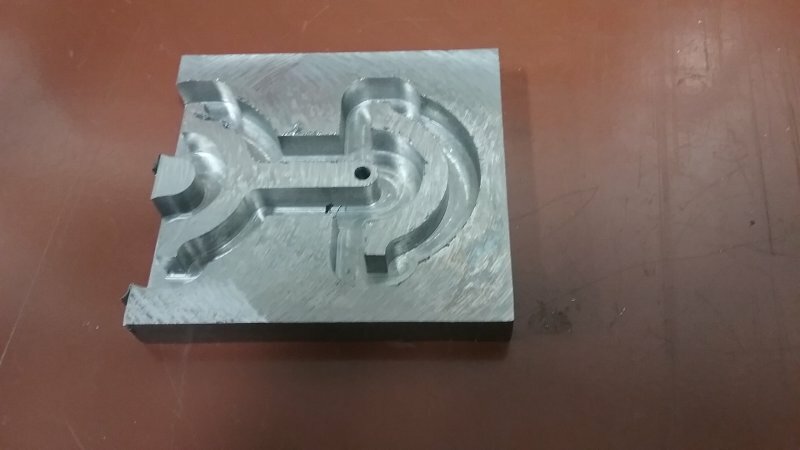 I didn't have any really convenient scrap, so spent way more time than I expected machining down some 1x1.5 to .7" square. In any case, I was able to mount the joined frames on the faceplate and drill 1/2" starter hole. 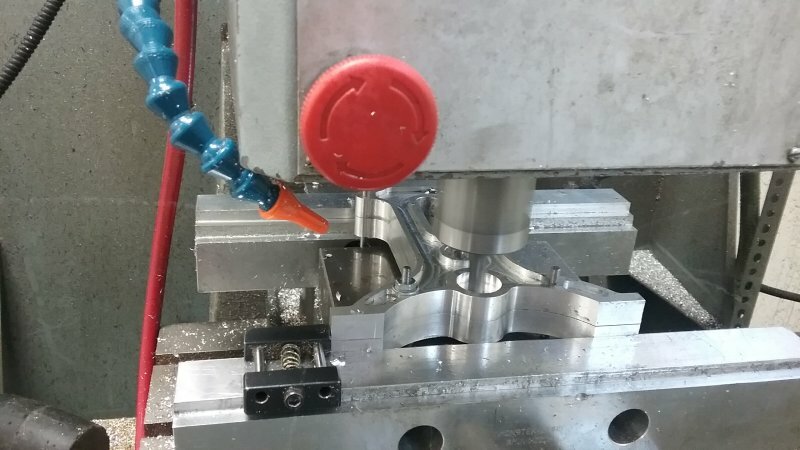 No shaking of the lathe at 600 rpm. 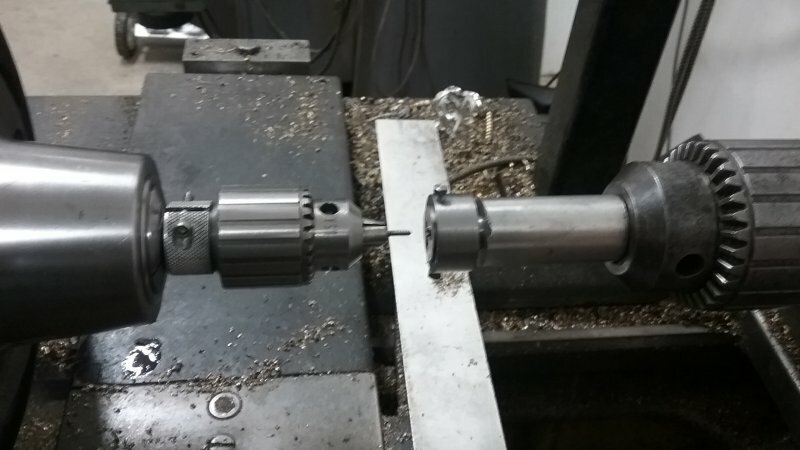 Then some careful boring out to 5/8" using the pivot shaft to test for fit. My God! You're on a roll. Completed by Cabin Fever? No 13/16 die holder? No problem. 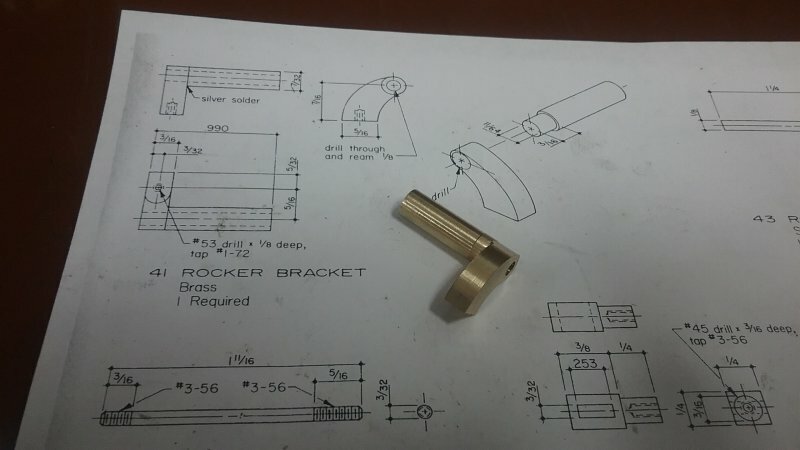 13/16 5C collet. My goal is to have it assembled by CF at least. Whether it will run is another issue. 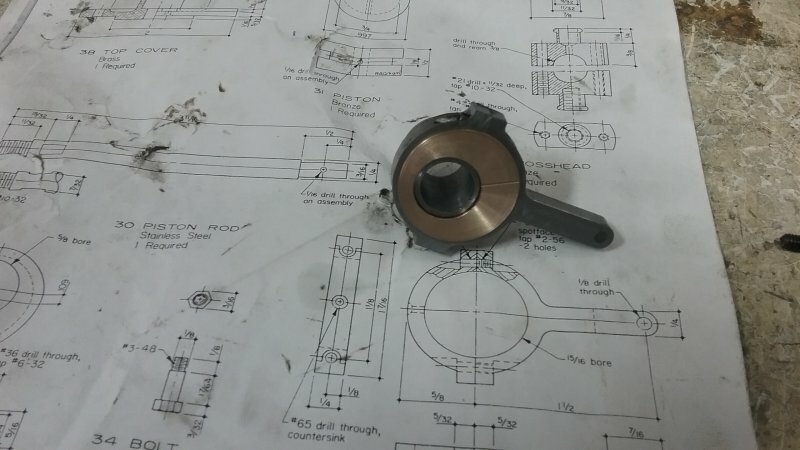 Today's goal (after lunch) is to machine the bearing caps and crankshaft bearings. 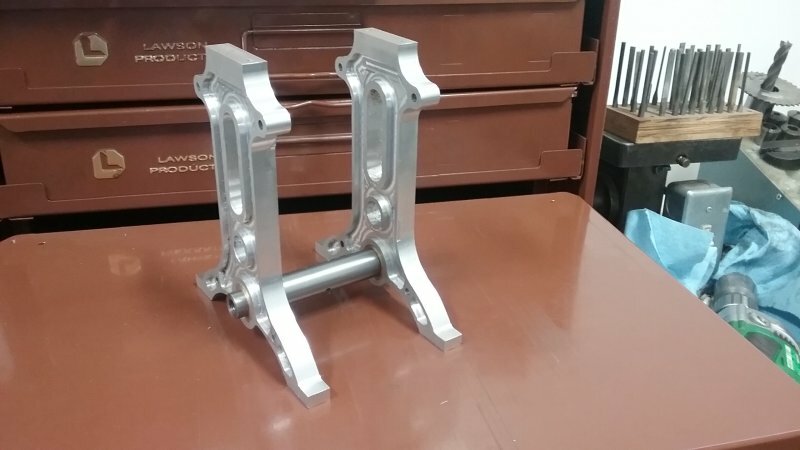 With both pivot shaft and crankshaft in place, I can figure out the correct length for the frame separators. I tried making some temporary ones, and it was very easy to bind the pivot shaft if they are too short or the screws too tight. 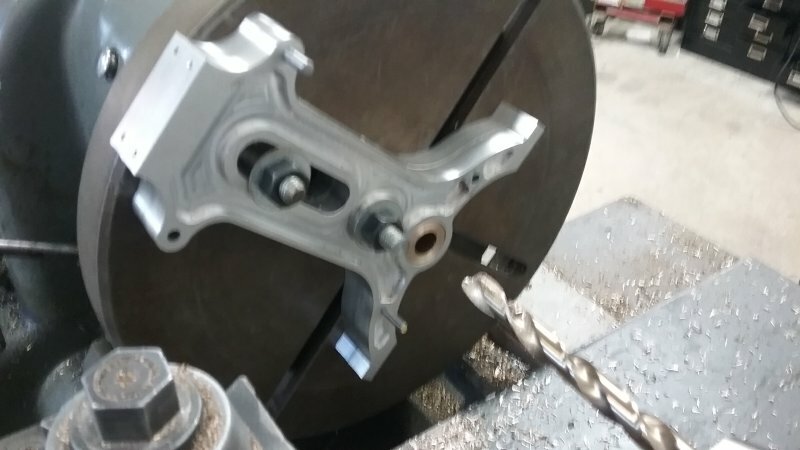 The 5C collet plan would have saved me that work. 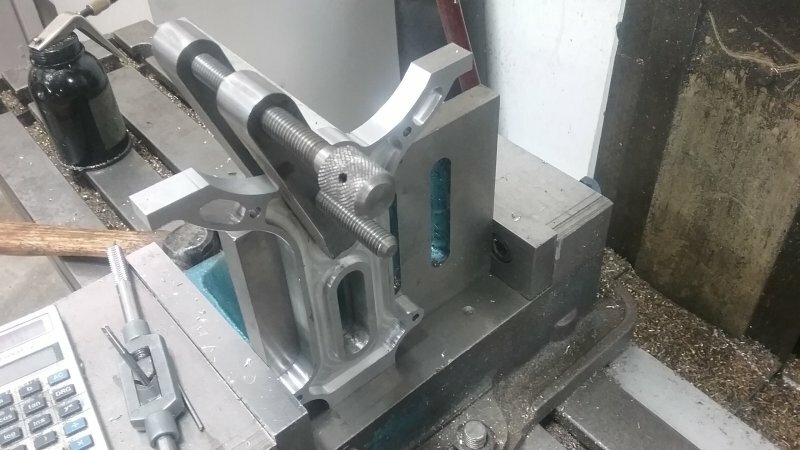 Hold the die in the lathe chuck and the drill in the tailstock.